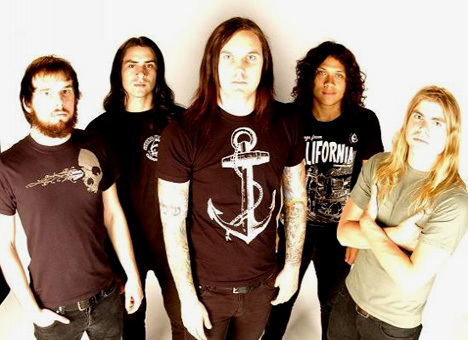 As I Lay Dying was formed in the sunny city of San Diego , California in 2001. This unique group, unlike all those that sign with Sony or any of those well known record companies, signed with Pluto Records. 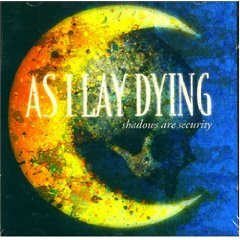 This was a win win situation for As I Lay Dying and for the record company. 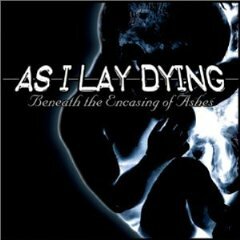 After they were signed with this company, As I Lay Dying released their first full length album, Beneath the Encasing of Ashes in June of 2001. Following its release, the band completed a number of tours. Through persistence and hard work “Beneath the Encasing of Ashes” became the top selling Pluto release. This 12-song release features dynamic improvements in both songwriting and musicianship. 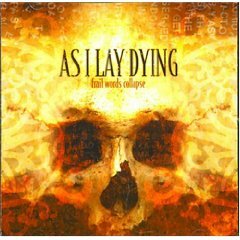 “Frail Words Collapse” (July 1, 2003) is full of brutal and emotionally driven songs that transition seamlessly from precise melodies to neck snapping rhythms. With song as “94 Hours” and “Forever,” album went on to be a label best-seller, surpassing 210,000 units sold. 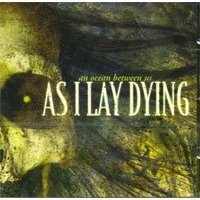 In the bands latest release, An Ocean Between Us (August 2007) the band recruited noted producer (friend and Killswitch Engage guitarist) Adam Dutkiewicz to man the boards these guys prove once again they are not afraid to push the limits of their sound and always keep things moving. The band has taken home the San Diego Music Award’s 2006 Artist of the Year (beating out Jason Mraz and Switchfoot) as well as being voted 2006’s Metal Gods by MTV2.